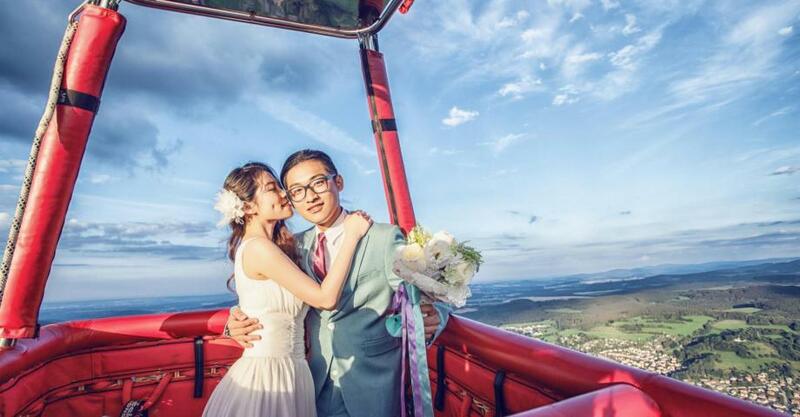 This romantic and yet a bit adrenaline experience is a perfect choice, if you wish to celebrate your love. 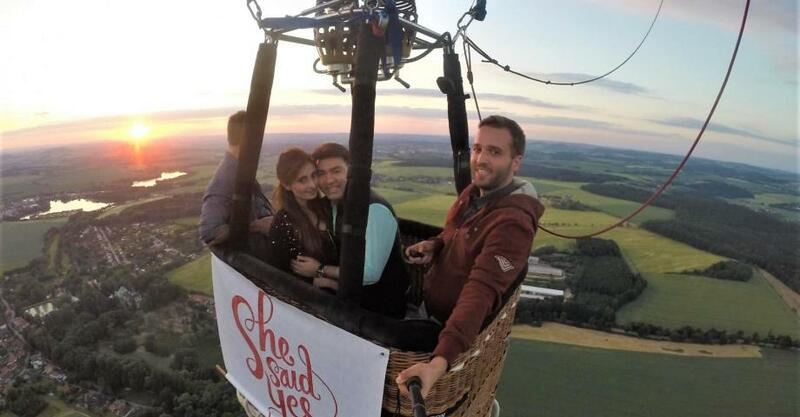 An anniversary, a wedding proposal or even a real wedding in the air? You name it and we´ll make your experience unforgettably romantic. 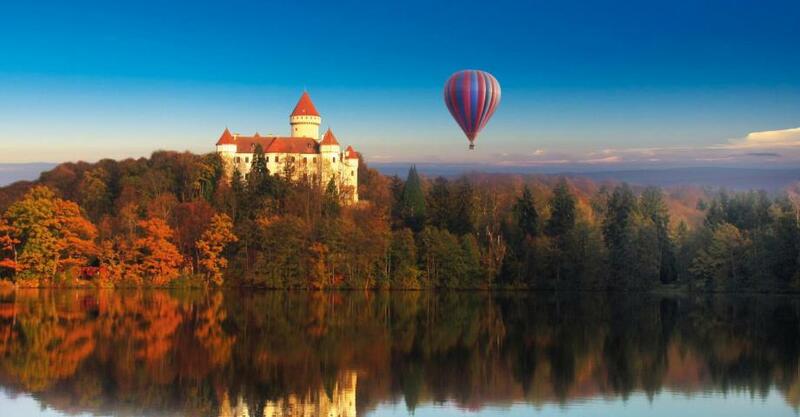 Choose a hot air balloon flight over Karlštejn castle, Chateau Konopiště, Český Krumlov or the Bohemian paradise. 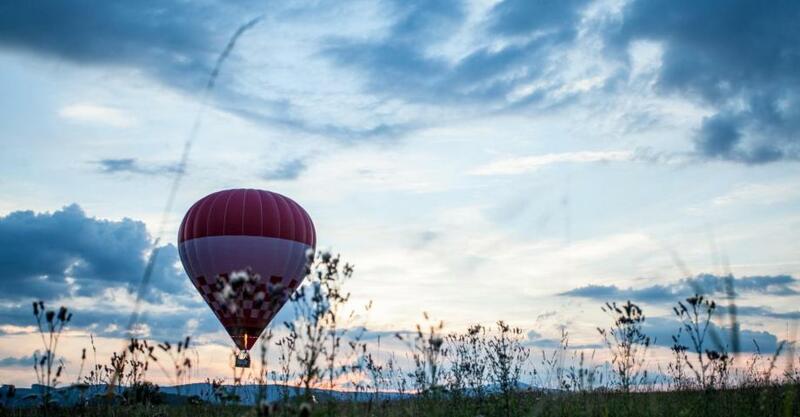 The hot air balloon experience includes a 2 flight tickets, the locality of the flight of your own choice, a small snack, introduction to balloon flights and their history, info about the scenery beneath you, a final champagne toast to celebrate and aviator´s certificates. A skilled pilot is a matter of course. If you´re not sure, which locality to see from the bird´s view, we are prepared to give you some tips. Can something be more romantic? Transport included in price. Book now only with a deposit, and pay the balance later on the spot. 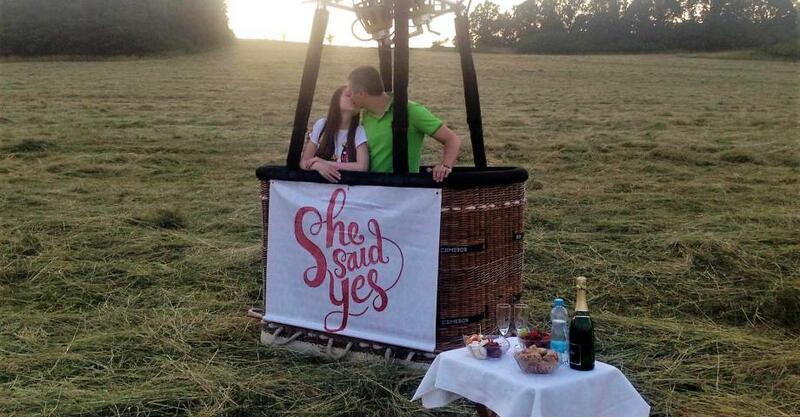 Let’s keep the moments of privacy and exclusivity for yourself! 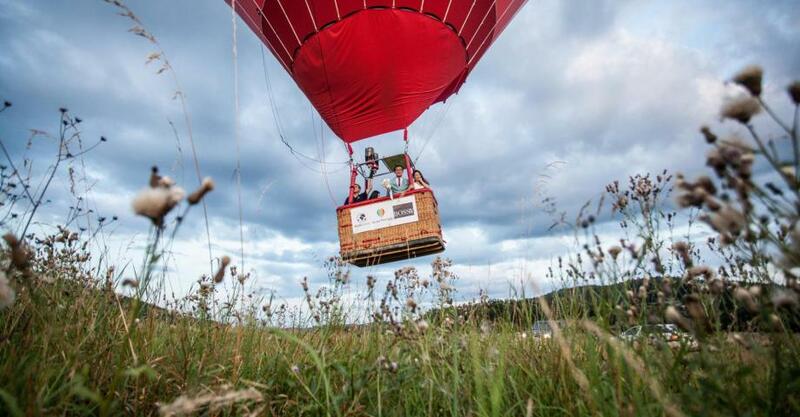 Book a balloon ride just for you, your family, friends or colleagues. 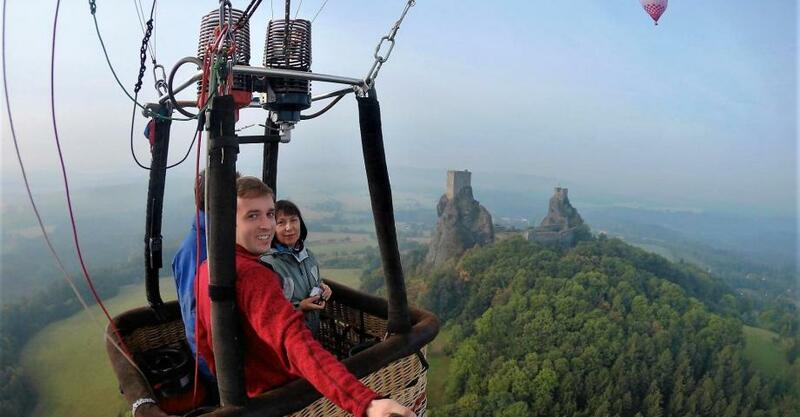 Enjoy your private flight with the stunning views of historical castles, wild nature and other panoramas of the Czech Republic, 3 000 feet above the ground. 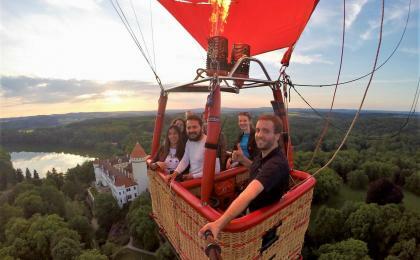 You will see one of the signature locations, 40–60 km out of Prague for a sunrise or a sunset balloon flight. Passenger younger than 18 years of age must be accompanied by an adult. Height: min. 120 cm (3,9 ft). Weight max. 110 kg. In case of exceeding this limit, extra charges may apply. In case of medical issues, please contact our office. For safety reasons, pregnant women, persons with serious health issues or under significant alcohol or drug influence may not fly. The flights can be cancelled according to bad weather (i.e. in a storm, in strong wind >7m/s, in no wind <1m/s or in strong rain, snow and frost). From November to March flights only on request. Activity is designed for a couple. No spectators possible. 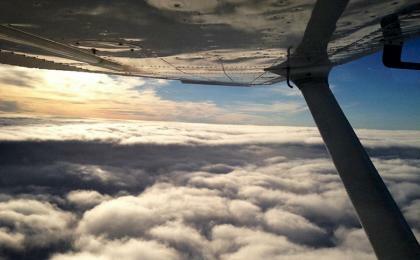 No need to overdress, the temperature during the flight is the same as it is on the ground. Solid shoes essential, no high heels or slippers, please.